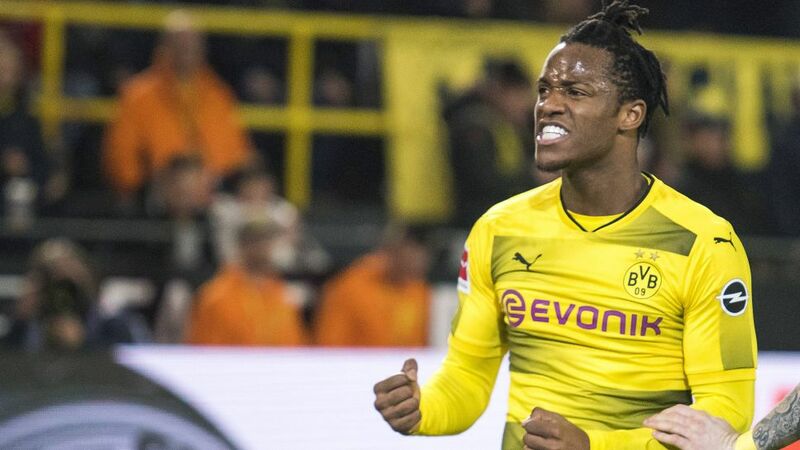 Borussia Dortmund striker and social media phenom Michy Batshuayi basked in the glory of his late brace that handed his side a dramatic 3-2 win over Eintracht Frankfurt on Sunday. Dortmund needed a hero, and got one in the form of their number 44. The Belgian striker only came onto the pitch in the 62nd minute replacing Maximilian Philipp but made the ultimate impact. Two minutes after Luka Jovic brought Frankfurt level, Batshuayi finished superbly to bring Dortmund ahead again in the 77th minute. Then when Danny Blum had all-but earned the Eagles a point one minute into added time, the “Batsman” knew what he had to do. In the fourth minute of injury time, he smashed home to send Dortmund fans into delirium and begin his night of fun on social media. He lived up to his name of “Batsman” with this memorable quote from the world-famous film franchise. Dortmund showed that the 77th minute produced some incredble scenes, but the 94th was actually Batshuayi’s favourite. It is what makes Batshuayi such a lovebale character that he not only wins the game in the final minute, but also celebrates with a sense of humour and down-to-earth style off the pitch. "He played a lot of intensive games in the past few weeks, so started on the bench today," said Dortmund coach Peter Stöger after the game. "I wanted to put some pressure on him. The fact that he took his chance is very pleasing." And it is also clear that they players around him are enjoying his presence, as Marco Reus said to bundesliga.com after the game. "It was of course incredibly important that he was able to bring some freshness into our game play and perhaps a bit more stability," Reus said. "As a striker you are measured on your goals and he scored again today." Watch: Reus speaks about Batshuayi after his stunning brace! Batshuayi has proven once again that all superheros thrive under pressure, especially in the black and yellow of Borussia Dortmund. Click here to relive Borussia Dortmund's win over Eintracht Frankfurt!